Common good is a topic which can lie dormant for many years but then, as several local authorities have found to their cost, it produces difficulties for the unwary, particularly in relation to the disposal of land held on the common good. In recent years the administration of common good funds and assets has frequently brought local authorities into conflict with community councils. 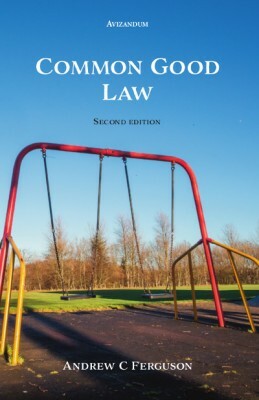 Common Good Law is the only book to deal with this neglected area of property law. The second edition includes discussion of the important recent case of Portobello Park Action Group Association and of the changes made by the Community Empowerment (Scotland) Act 2015 and the Land Reform (Scotland) Act 2016. Common Good Law provides a clear and practical guide to all those involved in the sale and purchase of local authority property, including local authority practitioners, those acting for purchasers of local authority property, community councils and their advisers.